#StayWild Tip: Revisit the wild things that caught your imagination as a child. Return to special places, or look for old books, and reflect on the changes. I’m not a hoarder, and as a consequence I don’t own many things that have stayed with me since childhood. Part of that comes from moving around fairly often, especially after I turned 18 and moved into my first flat, and the necessities of owning only what I could move in the back of my 1988 Volkswagen Polo Mark 2. There wasn’t much room for sentimental baggage in that little car. For many years the one constant was books; I would lug the same stack of reference books and favorite fictions from flat to flat, then take great pride in arranging them the way I liked – only then did I feel at “home”. Even this collection was whittled down as time passed. I think often of the books I had as a child, now long lost. Two sets of junior encyclopedias which I simultaneously adored and treated abysmally. At each bath-time I would cover my eyes, draw a questing finger across the spines and select a volume at random to read, cross-legged in the bath. I had a wonderful book on ancient Egypt, and another on Aztec and Mayan cultures, and they sparked a lasting phase where I obsessed over the drawings and hieroglyphs of long – dead cultures. 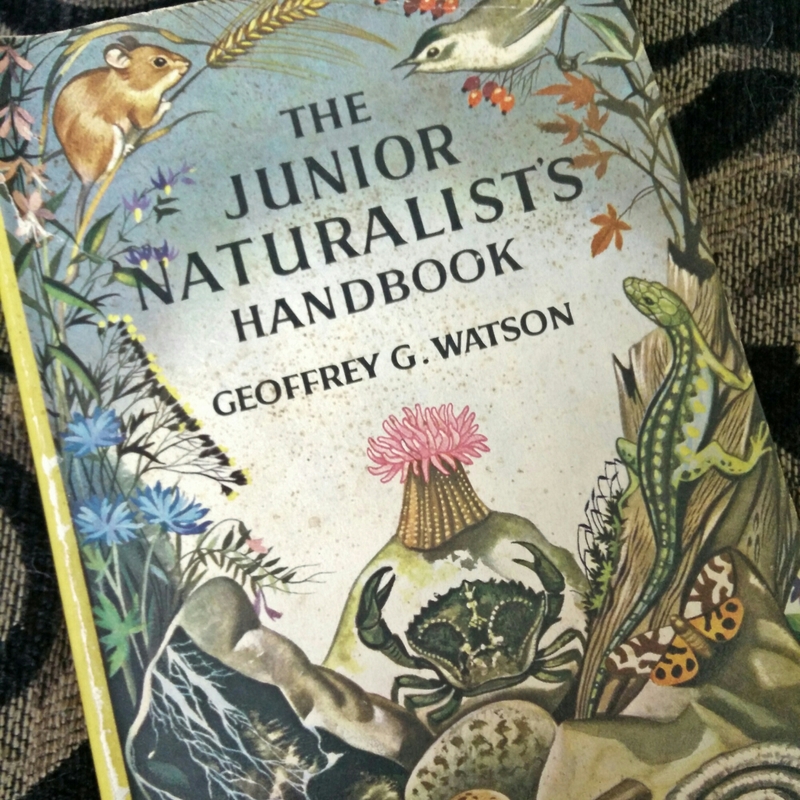 Of all the books I’ve ever owned, the one that provides enduring nostalgia was The Junior Naturalists Handbook, compiled by Geoffrey G. Watson and published in 1962. Other than the inspirational individuals in my life, this little green hardback (my original copy was missing the dust cover pictured above) shaped my interest in all things wild more than anything else. I managed to track down a copy recently, and was absolutely overjoyed. I remember much of the content vividly, and as I read through I get goosebumps – my approach to nature has been clearly and fundamentally shaped by the content, but in the intervening thirty years I have forgotten where it came from. Anachronisms aside, the book is largely relevant yet also endearing in that it does not pander or patronise. 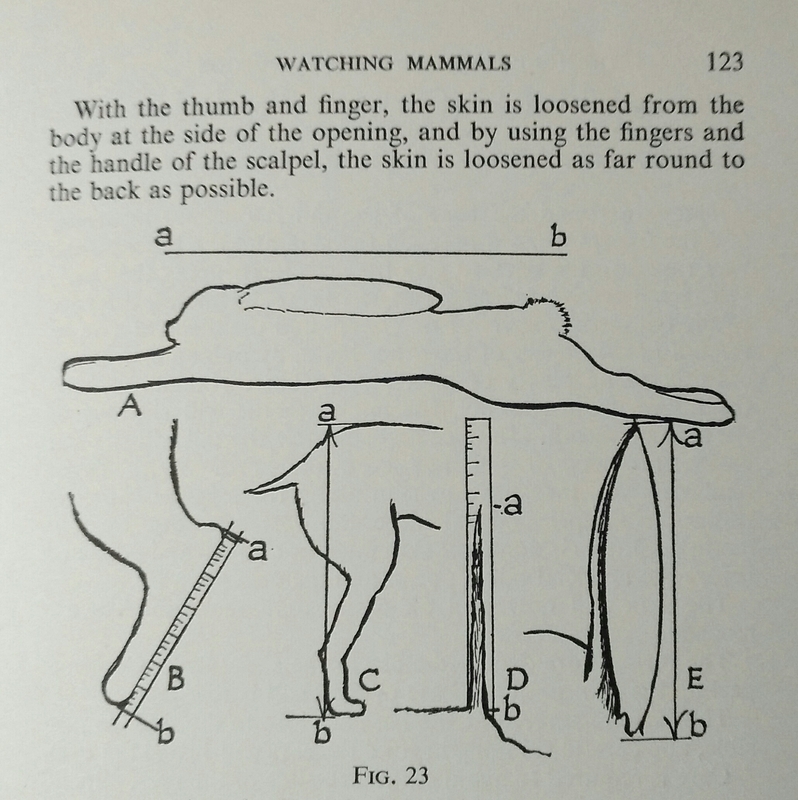 In clipped, no-nonsense, post- war prose, the book ranges across the entire gamut of naturalist activities, from geology and tracking, to recording and identifying animals and plants, to collecting and skinning them for mounting and display – many of the suggestions contained within would be frowned upon now (or might prompt a referral to social services if a child did follow them), such as the instructions for gutting and skinning roadkill. Sadly it is quite difficult to imagine today’s aspiring naturalists as having the same latitude to practise their hobby. Watson assumes, with that comfortable old-fashioned certainty, that a child could waltz into a chemists shop and ask for chloroform, ethyl acetate or pulverized gum Tragacanths. At its core, Watson’s book isn’t just about encouraging naturalist behaviors – it is also about encouraging respect, ethical behaviour, and being a responsible, conscientious citizen. Older, grumpy, mortgage-paying souls would recognize these as “transferable skills”. Time and time again, he urges the young person to only take the minimum of what is needed for study, to be meticulous and tidy in their pursuits, and to collaborate with others in the promotion of nature. His closing words in the final chapter, “Forming A Nature Club”, suggest that the motto of your club be “Adventure Through Nature”. What a fabulous idea.